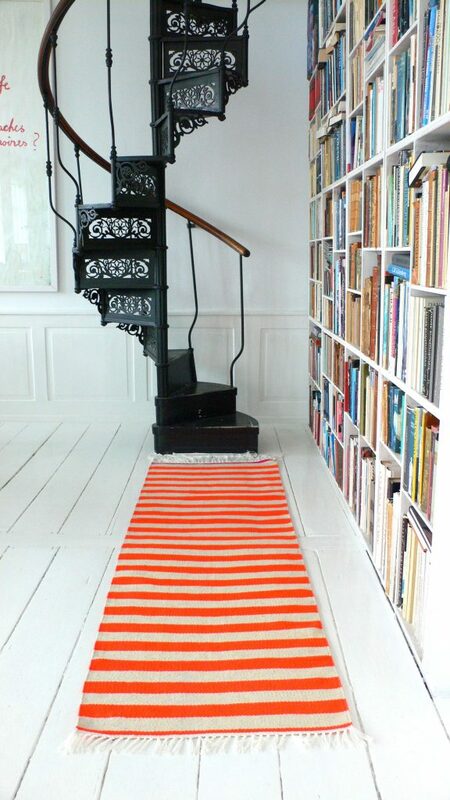 Runner rug ‘Neon stripes’ no. 2 by kira-cph.com. and we will get back to you with an excact price and lead-time. Neon stripes no. 1 by kira-cph.com – with pink details. All our designer runner rugs can be handwoven in size and dimensions according to your wish.